Sandia provides energy storage technologies and integrated solutions for large-scale adaption of energy storage across the electricity infrastructure. To serve the needs of a 21st century consumer base, the U.S. power grid must adapt to the emerging challenges and opportunities facing the country. Continuing changes in both state energy generation assets and consumer demand characteristics necessitate the need for greater grid flexibility to maintain the reliability and affordability of the current infrastructure. 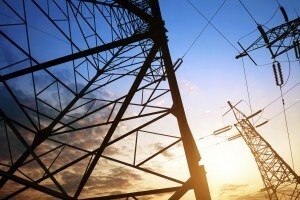 It ensures the resiliency of the grid infrastructure when severe disruptions occur, and can reduce economic losses from power outages while providing backup power and islanding capability during natural disasters. By incorporating energy storage into their network, a utility can compensate for large-scale renewable generation variability through energy time-shifting to maintain network stability. Wider scale integration of energy storage within today’s grid infrastructure can effectively improve the performance of the grid while reducing the cost of electricity to consumers. Sandia has a large portfolio of R&D projects related to advanced materials to support the development of lower cost energy storage technologies including new battery chemistries, electrolyte materials, and membranes. Sandia has extensive infrastructure to evaluate megawatt-hour class energy storage systems in a grid-tied environment to enable industry acceptance of new energy storage technologies. Sandia is performing research in a number of areas on the reliability and safety of energy storage systems including simulation, modeling, and analysis, from cell components to fully integrated systems. Sandia has exceptional capabilities to evaluate fundamental safety mechanisms from cell to module level for applications ranging from electric vehicles to military systems. Leveraging exceptional strengths in power electronics, Sandia has unique capabilities to characterize the reliability of power electronics and power conversion systems. Analytical and multi-physics models to understand risk and safety of complex systems, optimization, and efficient utilization of energy storage systems in the field. Sandia’s energy storage program addresses a range of topics in materials and systems as well as power electronics related to energy storage. Sandia researchers have addressed the high cost of membranes—a critical bottleneck in flow battery commercialization—by developing a new class of polymeric membranes with superior electrochemical properties and lower cost starting materials. Along with conducting extensive research in battery technologies, including lower temperature Na batteries and rechargeable alkaline batteries, Sandia has also developed lightweight nanocomposite materials for flywheels with increased rotational speeds. Sandia is advancing power conversion systems (PCS) for grid-tied and off-grid applications. This is driven by the development of new semiconductor switching circuits, as they determine the overall cost, reliability, and performance of the converter. Next generation PCS use advanced semiconductor materials known as wide band gap semiconductors (i.e. Silicon Carbide and Gallium Nitride) that allow for faster switching frequencies, improved voltage breakdown characteristics, and higher operating temperatures. 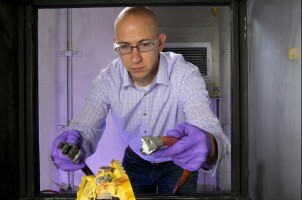 These high voltage switches, in conjunction with advances in ceramic capacitors, controls, magnetics, and packaging, lead significant improvements in system performance through increased power density and efficiency compared to PCS systems using silicon devices. Sandia has a significant focus on safety and reliability of grid energy storage systems. This effort includes coordinating DOE Energy Storage Systems (ESS) Safety Working Groups which bring together over 150 stakeholders from industries that range from national laboratories, electric utilities, standards organizations, and manufacturing companies. The working groups are exploring gaps in safety R&D; enabling the development of codes, standards, and regulations (CSR); and educating first responders on storage system safety. Sandia also provides workshops and organizes technical conferences, including the Energy Storage Safety Forum which is slated to become an annual technical meeting for the world wide research community. 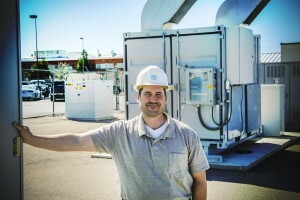 Sandia is the lead DOE lab in the development and implementation of energy storage demonstration projects and in performance analysis of energy storage systems in the field. Sandia works with the DOE in enabling energy storage systems deployment, and supports the U.S. Department of Defense, state energy offices, utilities, industry, and universities by providing design analysis, operational evaluation, and technology verification of energy storage systems. Sandia also has developing international collaborations with entities in the European Union, Japan, and Singapore. Sandia’s role in grid-tied field demonstration projects allows DOE and the nation to understand energy storage operation in grid applications, optimization of energy storage, system reliability, and the economic impact of energy storage in different market environments. Through the lab’s battery analysis program, Sandia assesses batteries ranging from the cell level to large utility class systems. Capabilities at the lab include reconfigurable command and control to simulate various use cases; analysis of advanced inverter functionality (up to 200kW); and grid simulation to measure changes in voltage, frequency, phase imbalance, and power quality. Sandia supports research to enhance the regulatory environment for energy storage through a range of activities. These include estimating the value of energy storage for different applications and scenarios; developing control strategies that maximize revenue or benefit to the grid; identifying new control strategies and applications for energy storage; assessing public policy to identify and mitigate barriers for energy storage; developing standards; and evaluating projects. Sandia collects key information on current and future storage technologies and acts as a clearinghouse for the information so that it can be effectively disseminated among key stakeholders and the community. 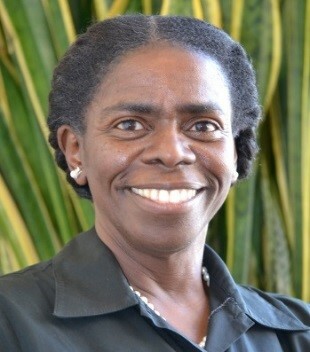 Outreach activities include conducting strategic communication initiatives, managing the ESS website, improving the DOE Global Energy Storage Database, updating the DOE/EPRI Energy Storage Handbook, and organizing the Peer Review meeting and the Electrical Energy Storage Applications and Technologies Conference. Sandia offers a network of interconnected laboratory facilities providing capabilities for real-world R&D for a variety of advanced grid technologies. The Energy Storage Systems Analysis Laboratory and its MW-scale Energy Storage Test Pad are user facilities enabling experimentation on battery cells, modules, and systems to improve performance, safety, and reliability. The Battery Abuse Testing Lab is a national center of excellence in energy storage system safety analysis. Research at this center includes studies on failure propagation phenomena, development of fire suppression methods to improve safety, and the development of high fidelity models. These facilities enable Sandia to partner with industry to remove barriers to for the large scale deployment of energy storage in the grid. 2016 R&D 100 Award: Precision High Power Battery Tester: Co-developed with Arbin Instruments, Ford Motor Co., and Montana Tech, the Precision High Power Battery Tester received the 2016 Green Tech Special Recognition Award presented by R&D Magazine. The tester significantly improves battery life predictions, helping meet the growing demand for better, longer-life electrified vehicle and grid storage batteries. Watch the video. 2015 R&D 100 Award: 6.5kV Enhancement-Model Silicon Carbide JFET Switch: The 6.5kV Enhancement-Mode Silicon Carbide JFET Switch is a low-loss power switch based on a novel silicon carbide junction field-effect transistor. 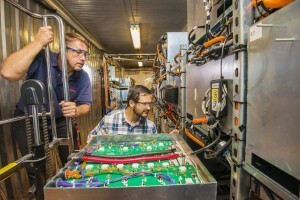 It is expected to improve the efficiency of next-generation power conversion systems used in energy storage, renewable energy, and military applications, as well as data center power distributions. Developers of the switch include United Silicon Carbide Inc., Sandia, and DOE’s Office of Electricity Delivery and Energy Reliability, Energy Storage Program. Watch the video. Sandia National Laboratories safeguards the nation’s nuclear stockpile and helps the country solve some of its most pressing engineering problems in homeland security, energy, and basic research. Sandia strives to become the laboratory that the U.S. turns to first for technology solutions to the most challenging problems that threaten peace and freedom for our nation and the globe. Mr. Michael Pesin and Dr. Imre Gyuk of the U.S. Dept. of Energy’s Office of Electricity Delivery and Energy Reliability discuss the current and evolving state of research and implementation in energy storage technologies, including environmental and safety considerations. Babu Chalamala is the manager of the Energy Storage Technology and Systems Department at Sandia National Laboratories. Prior to joining Sandia in August 2015, he was a corporate fellow at MEMC Electronic Materials/SunEdison for five years, where he led R&D and product development in grid scale energy storage. Before that, he founded two startup companies commercializing large format lithium batteries and digital x-ray sources. Earlier, as a research staff member at Motorola, Research Triangle Institute, and Texas Instruments, he made contributions to the development of electronic materials and device technologies. Babu is a fellow of the IEEE and the Academy of Sciences St Louis, a life member of the Electrochemical Society, and a member of the Materials Research Society. 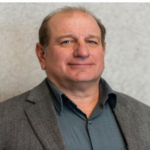 He was a co-chair of the 2006 Materials Research Society Fall Meeting and served on the editorial boards of the Proceedings of the IEEE, IEEE Access, and the Journal of Display Technology. He has authored over 90 papers and received eight US patents. He has a B.Tech in electronics and communications engineering from Sri Venkateswara University and a Ph.D. in physics from the University of North Texas. 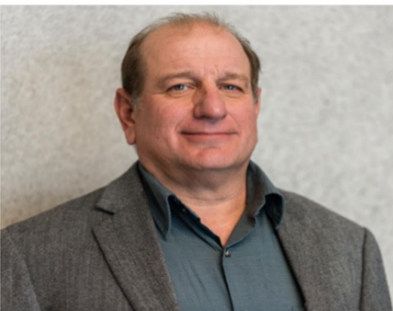 He received the 2015 James B. Eads Engineering Award of the Academy of Sciences St Louis. Dan Borneo is an engineering program/project lead and principal member of technical staff at Sandia National Laboratories. 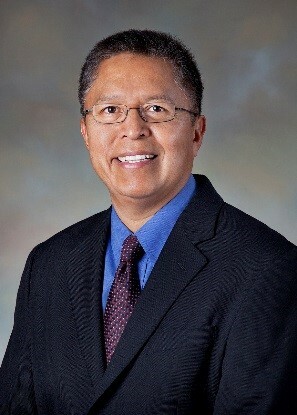 He is the project team leader for the Industry Acceptance Thrust Area of Sandia’s Energy Storage Systems Program. Dan utilizes his 35+ years of experience in the electrical power industry and collaborates with the energy storage industry, utilities, academia, and state energy agencies to facilitate moving innovative electrical energy storage technologies and systems to commercialized products and services. Dan holds both a B.S. and an M.S. in electrical engineering from the University of New Mexico and is a licensed Professional Electrical Engineer in the state of New Mexico. Stan Atcitty is a distinguish member of the technical staff at Sandia National Laboratories. He leads the Power Electronics Thrust Area of Sandia’s Energy Storage Systems Program, with research interests in power electronics necessary for integrating energy storage and distributed generation with the electric utility grid. 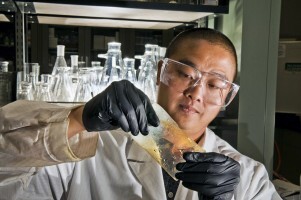 Five of his projects have won the prestigious R&D 100 award. Stan received a Presidential Early Career Award for Scientists and Engineering in 2012. 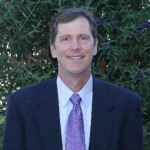 He has published over 50 technical papers, and he holds four patents with another two pending. He is a senior member of the IEEE. Stan received his B.S. and M.S. 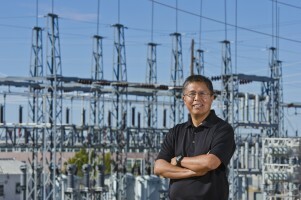 in electrical engineering from New Mexico State University and received a Ph.D. in electrical and computer engineering from Virginia Tech. Jacquelynne Hernandez is the project lead for Industry Acceptance and Strategic Outreach for Sandia’s Energy Storage Systems Program. 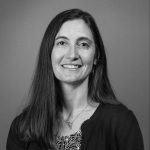 Her areas of expertise include asynchronous machine modeling and validation, electricity utility management, and energy policy (oil and gas pipelines, energy cyber standards, and RTO/ISO market compliance). Current projects include the Department of Energy (DOE) Global Energy Storage Database (in partnership with Strategen), the DOE/EPRI Electricity Storage Handbook in collaboration with NRECA, the DOE/Energy Storage Systems website, annual Peer Review and conference administration, applicable energy storage feasibility studies and policy, and regulatory guidance for market structures. She holds a B.A. in history/physics from Vassar College, a B.S. in electrical engineering from DeVry Institute of Technology, and an M.S. in electrical engineering (power engineering) from New Mexico State University. Summer Ferreira is a principal member of the technical staff at Sandia National Laboratories. She leads the Safety Research Thrust Area of Sandia’s Energy Storage Systems Program. 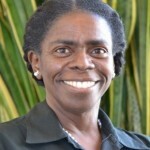 She oversees outreach activities with stakeholders through the ESS Safety Working Group with coordinated efforts from Pacific Northwest National Laboratory and Sandia staff as well as participation from over one hundred interested stakeholders. The safety thrust has dedicated R&D activities within Sandia that range from empirical analysis of non-abuse and abuse condition performance of commercial battery technologies at the cell and string level, complemented by modeling activities that scale to system level energy storage under operation, with a focus on off-normal, abuse, and failure conditions. Summer holds a B.S. 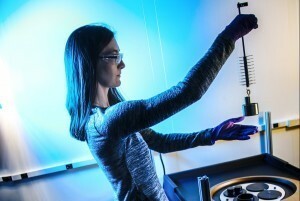 from the New Mexico Institute of Mining and Technology and received her Ph.D. in materials science and engineering from the University of Illinois Urbana-Champaign. The Department of Energy Office of Electricity (OE) drives electric grid modernization and resiliency in the energy infrastructure. 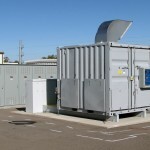 The goal of Energy Storage Systems (ESS) is to develop advanced energy-storage technologies and systems, in collaboration with industry, academia, and government institutions, that will increase the reliability, performance, and competitiveness of electric generation and transmission in utility-tied and off-grid systems. 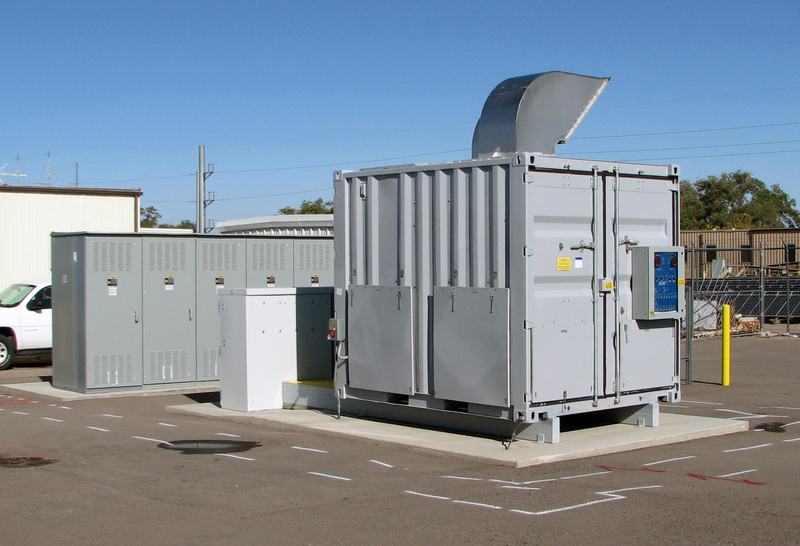 ESS has been instrumental in the research and development of energy-storage technologies and applications since the 1970s, especially as storage relates to electric utilities, renewables, and grid security. Sandia’s energy storage research program relies on collaboration and partnerships with a range of stakeholders, including other national laboratories, universities, electric utilities, industry, federal and state agencies, and international consortia. Learn more about partnering with Sandia.